Temporal Fractals is an experiment in the disposition of multiple time scales over the physical space. 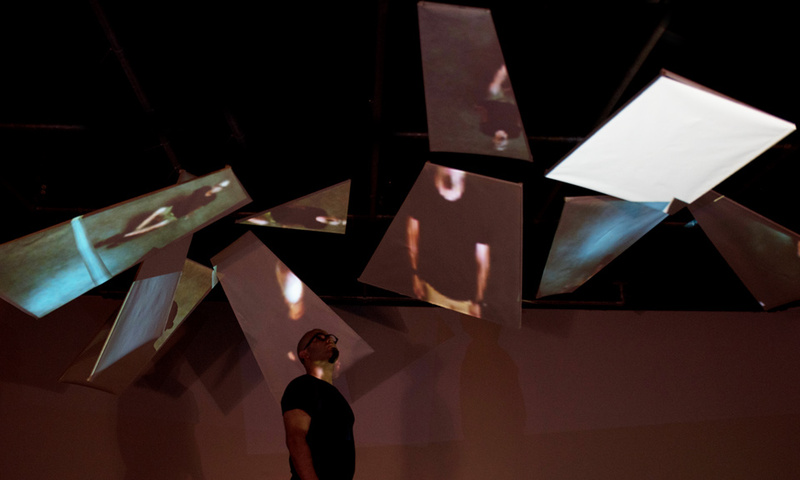 The installation is comprised of eleven ceiling-bound screens, each of which is mapped to a different time-scale displacement of a live camera feed. 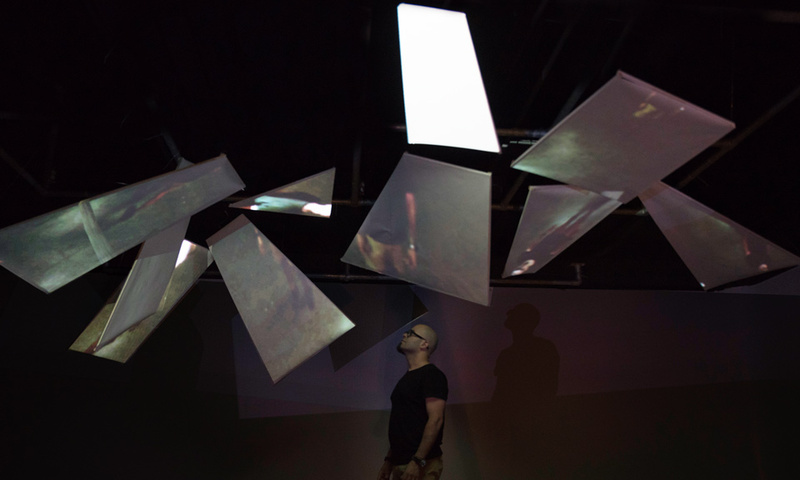 The system captures the live feed and creates a random seed upon which eleven different video delay zones are generated, and then diffused back into the space where each feed is mapped to a screen in the space, thus creating multiple timescales of the same object at once. The system is motion/presence sensitive. 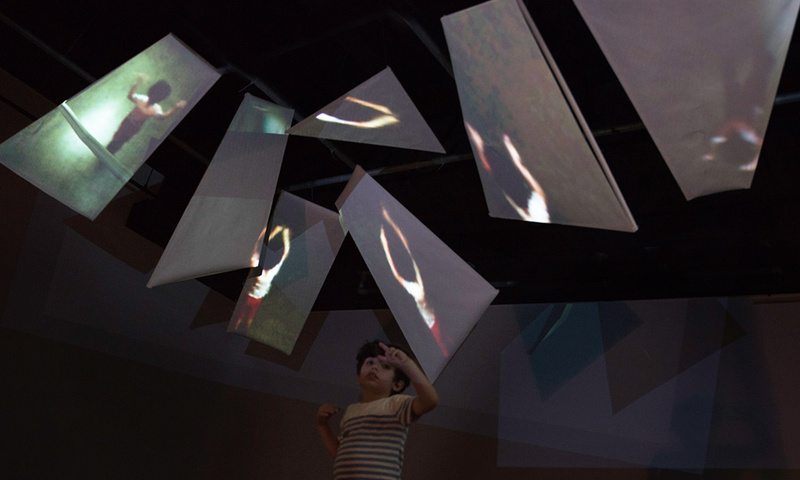 When the room is empty, all screens display a whitewash image, with random fragments of previously recorded feed is played for one second each on one random screen, this cycle is called: The random memory generator. 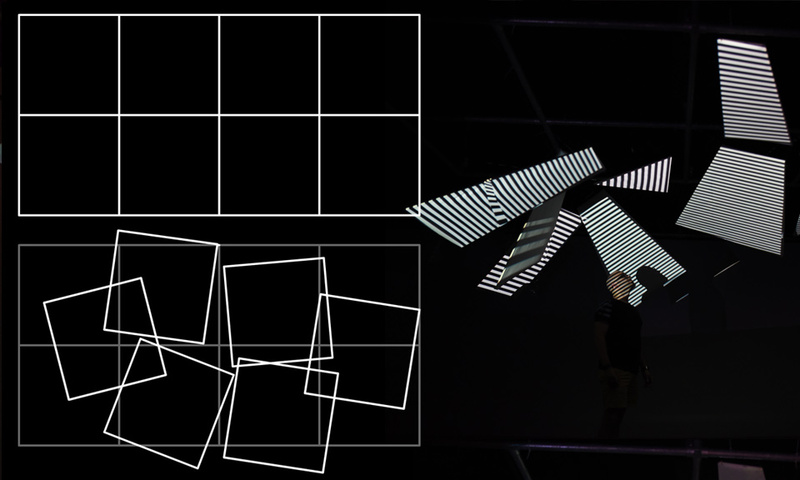 When presence is detected, the random memory generator is paused, all screens fade to white, a random delay seed is generated, and the camera feed is then diffused over the 11 screens with gradual delays that are based off the random seed, slowly replacing the whitewash on the screens with the live image. 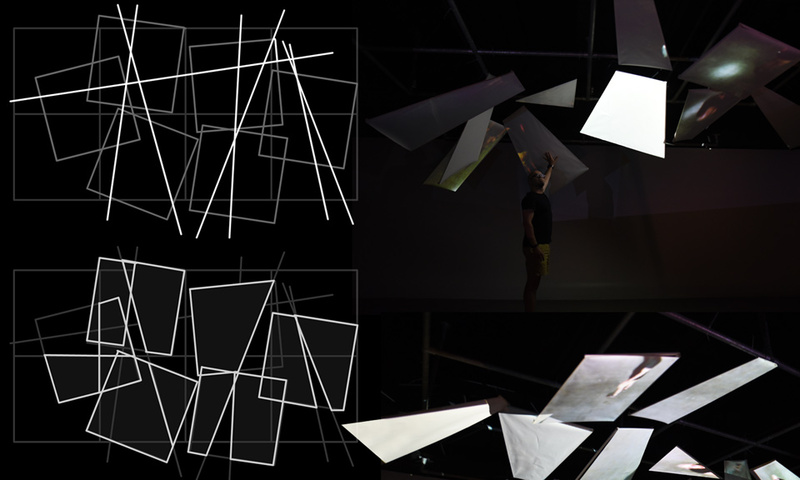 This experiment was conducted over one weekend in the Hexagram blackbox at Concordia University, the challenge was to conduct an exploration in temporal displacement that is site specific. The blackbox had a 4×2 ceiling grid for hanging projectors and lights, which is where the screens were to be positioned. I had decided to start from that grid as a basis for creating a dynamic displacement in space by shifting the grid squares in the same order of the image delay in the system. 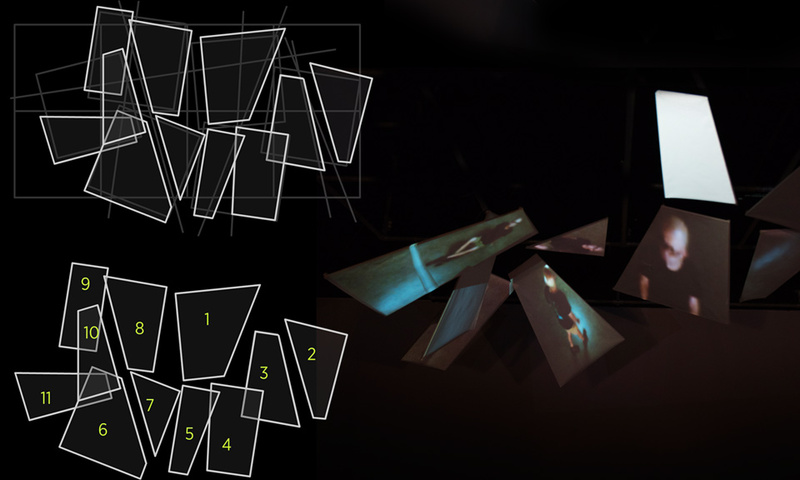 The resulting overlay is the tessellated and displaced on the 3 axis to create a non-uniform topography that is not flat and screen-like, rather gravitating downwards to surround those who are in this space of exploration.